Octagonal grip on all standard Incredibows. 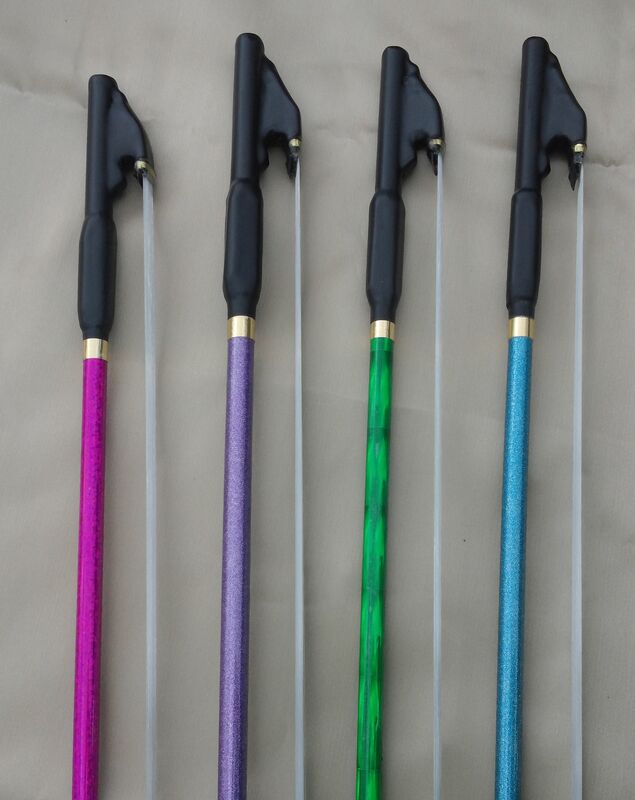 All our Incredibows feature a rubberized covering on frog and tip area – this material is designed for comfort, good grip ability and long wear! All bows covered with black rubber. Incredibows need no tensioning. HAIR IS PRETENTIONED and always ready to play. Most musicians report increased volume and clearer tone compared to horsehair, with need to rosin less often. More and more musicians are ordering our featherweight Incredibows, reporting faster action, less fatigue. Some musicians who have given up hope of continuing to be able to play due to arthritis or other crippling conditions, have returned to playing when using our featherweight Incredibows. Incredibows have been compared by numerous musicians to good traditional bows costing $500 or more. Several musicians have reported retiring their $1,000 to $6,000 bows in favor of using Incredibows. More and more professional musicians are now using Incredibows as their primary bow for full time play. Bluegrass, Country, Cajun, Irish Fiddle, Symphony Orchestra and Rock Bands are some venues finding Incredibow use – in many countries around the world. PLEASE NOTE that these bows are custom made by hand when the order is placed. Occasionally, I may have a few on the shelf – but those go quick and most bows are hand-crafted after the order has been placed and purchased. Typically, orders are made and shipped within two weeks. Sound: How do they sound? Thousands of fiddlers, violinists, violists and cellists are now using our Incredibows! They find they produce great tone, are easier to use, have no “hair noise” and quicker response – and now with “quick to grab” hair and awesome frog. Incredible! 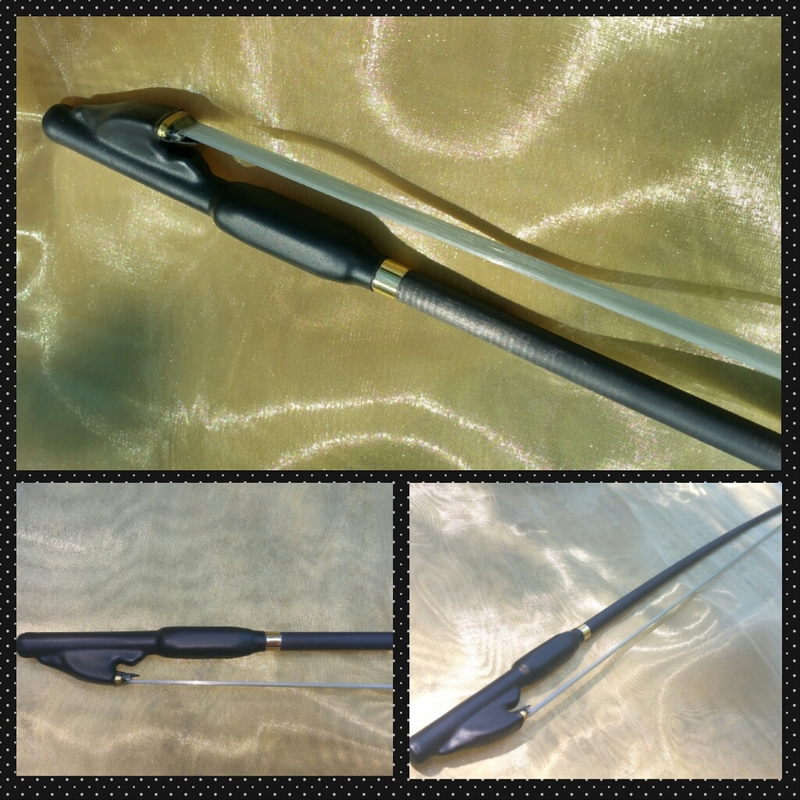 PRICING and SHIPPING: You can get your violin Incredibow delivered to your home anywhere in the world from ranging in price from $134.00 to $194.00!! There are violinists and fiddlers right now using our Incredibows, claiming that these bows are better than any violin bow at any price! Frankly, our modest price is probably our biggest obstacle – folks think it can’t be much of a bow, being so inexpensive! Our position: “Good bows” are simply overpriced! Just look what today’s technology is bringing you in low cost products. Let’s use that same technology in bowmaking! What Size Choose an option1/10 - 17.75"1/16 - 16.75"1/2 - 24.5"1/4 22.5"1/8 - 19.25"3/4 - 27"4/4 - 29"
1/10 – 17.75", 1/16 – 16.75", 1/2 – 24.5", 1/4 22.5", 1/8 – 19.25", 3/4 – 27", 4/4 – 29"